It has been fifteen years since the attacks on the World Trade Center. All of us have memories of that event. So I asked on social media “Tell me - (1) Where were you when the attacks occurred? (2) How did you feel then? (3) How did it change the country/world? (4) After fifteen years, have you been able to put it into some sort of perspective?” Here are some responses. Andy Seibert: I worked overnights for a local Fox TV station at the time. When I trained for the job, I was shown which switch to throw that would interrupt programming and switch to Fox news continuous coverage, with the subscript that it was likely never going to be used. After the 1st shift worker showed up at the transmitter site to relieve me, I would then drive commercial and show tapes and logs back to the studios, about a 45 minute drive through morning rush hour. My boss told me a plane had hit the tower and he was watching the coverage on a small screen in his office. We stood there in shocked silence together and watched the 2nd plane come in. After a moment, he called the transmitter site to tell them to throw that switch because something was really wrong. It was and still is unfathomable and just chilling for me to even think about. I'm not sure I'll ever put it into any rational form of perspective. Chris Payne: I was walking through the parking lot at NKU - overheard on the radio the construction workers had on the scaffolding. I was numb…. It felt like the world got smaller. Everything was closer. Every threat more imminent. 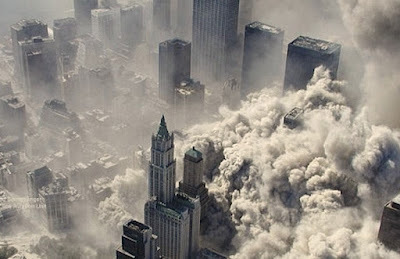 Tragedies as destructive as and more destructive than what happened on 9/11 occur all the time around the world. Fifteen years ago, the world felt small when it happened to “us." Time reestablishes distance and "we" are slower to acknowledge the terror and tragedy when it happens to "them". We maybe "feel" it when something happens in a nation with people who look like us and maybe speak English. 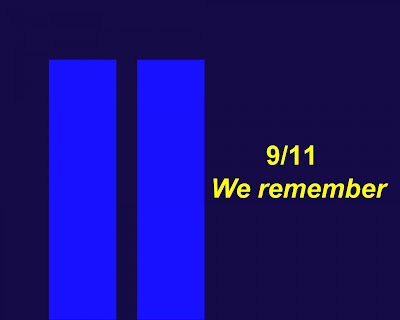 But the unity that comforted us and helped us heal after 9/11, seems so far away when it happens anywhere else. Carole Winters: I was at work and a good friend called to see if I was in the office or traveling (as I travelled a lot). Another colleague called as well, saying a plane crashed in to the WTC. I thought he meant a small plane…. Then the other plane crashed.… We had a lot of clients in NYC and I was concerned about them. I was watching the TV when the first tower fell, and I knew the second one would as well. I couldn't watch it anymore. I was sickened because I knew the country would go ultrapatriotic crazy and want revenge which it did. It was the end of the U.S. as we knew it. I remember posting a Martin Luther King quote about peace and two wrongs don't make right --somewhere -- not sure where -- and the reaction was chilling. I knew our country would be affected in a very negative way, and what came after was even more horrible. An excuse to go war. Sara Murphy Nousiainen: I was at work for Delta Airlines. I was on the phone with my husband for we were going to be flying to in-laws in just a couple hours. i was telling him the flights were good to go. Then I saw the TV when everyone came running. Had to get back on the phone and answer some of the hardest [customer] calls ever. Even in extreme situations we can not tell you who is on a plane. I was petrified - couldn't let go of my 15 month old to sleep alone for a long time. Then angry. It completely changed my life for my job was eliminated (eventually )- put my life on a different path. Rebekah Elliot: I'd dropped my mom off at the Delta counter for an early flight back to NY and was pulling into work. I was completely devastated. I lost 32 people I went to college with and 4 from my high school. Also a neighbor. Scared, heartbroken. Very very proud of my home state - NY. Heart broken and the deepest sense of loss knowing nothing in life would ever ever be the same again. It created wars that we still wage.… Countless lives lost. Politically, it began the unraveling of our country. Innocence lost.… Perspective? OK- how about, now truly, ALL of us are in this together? I mean, prior to that, suffering on a large scale, terrorism, panicked people in the streets was a third world reality. Carol Grimm Barnes: I was working at Woodfill School. Of course all the adults were trying to find out what was happening while making sure the children were having a normal day. At the Elementary level, we knew it was best to let the parents tell their children the news, at their own level of understanding. I felt afraid and very sad. I wanted to be with my family. And I was worried about friends and relatives who lived in NYC and DC. It was definitely the beginning of a new era in our country. Lindsay Beineke Edwards: I was teaching Media Studies / Senior English at Conner High School. I was scared, but as I has a classroom full of students who were even more scared and worried than I was, I was a picture of calm. It has made the country much more paranoid and prone to isolationism, as well as much more militant. My experience with the wider world has not been that way though. Less than a year after the attacks, I moved to the UK. There, I made friends with people from all over the world and taught students from many countries where extremism flourishes. Some of my best friends from the UK were from Aleppo, Syria. My worldview has done a 180 since 9/11 and the perspective I have now is very different from what it was then and what many people here in the US still believe. I don't see Syrian refugees from Aleppo as possible terrorists: they are the friends and family members of some people I hold dear. Teri Foltz: In my trailer classroom. Student came in and asked if we could turn on the television. I was emailing Ken in his classroom in Ludlow. I'll never forget that he wrote, "Teri, we're at war." I was so shocked. I could think of nothing else. I still can't process. All those parent-less children are grown now. How different their lives might be now. Jan Haas: I was at Trent Montessori watching the news as the preschool children walked through the door. The first group knew nothing as the attack was happening at the exact same moment. Some who came in after lunch did know of the attack. That was hard to hear them talk and to try and reassure them that they were safe. I was worried about my sister who was a flight attendant for American Airlines and was on a trip returning from Germany. We waited all day to hear and finally my sister called from Canada…. Our country came together......many wearing red, white, and blue and flying our flag with pride…. Americans felt free to share their feelings, show their pride, and felt safer. Now I'm not sure what to believe, what to listen to, and who really knows what is going on in regards to our safety. I feel we all need to look out for our own because in the big scheme of things we are the only ones who will protect our own. Michele Wright: I was driving to work in downtown Cincinnati when the news first came on the radio, but they were confused as to what was happening. When I got in the office, everyone in my dept. was gathered around a TV. We watched in total disbelief as the first tower fell and then the second. It's made everyone more fearful. It's strange that right after it happened, everyone looked at each other, strangers in the street, and we felt a connection, then as time went by, it just changed to grief, anger and fear. I think it made Americans more aware of how our actions as a country affect the world and how other country's actions affect us. As a country, it both brought us together and drove us apart. Erin Horton: I recall driving to work that morning and pausing to notice what a perfect and beautiful morning it was. The skies were clear, the sun was radiant and the birds were singing. I wheeled a small patient education tv into my office after word of the first plane over the radio. The tv was on for the remainder of the day with staff and patients staring in disbelief. Watching the horror unfold live felt so helpless and terrifying. It seemed like everyone became numb in the weeks to come. Each of our children were born into a post 9/11 world. I too, wish they knew what life was like 'before'. They don't really understand why I get upset seeing footage even though we discuss. Their world is full of precautions and lockdown plans, and many parents have evolved to become helicopter parents. Sadly, the world has been forever changed. Julie Weckerlein: I was stationed at Ramstein Air Base, Germany, wrapping up a productive work day at the public affairs office. It was in the afternoon for us when everything happened. We circled around the TV, feeling the same disbelief, shock, horror, etc. -- but when the Pentagon hit, that's when things really started to happen very quickly. I ended up staying at work overnight. As the wing commander's spokesperson, I gave updates via the American Forces Network radio and television. It was the only way to relay updates and security information to the 40,000+ Americans living in that part of Germany. Within days of the attacks, Ramstein became the launch hub for missions going into Afghanistan, so my day-to-day changed drastically ... extended shifts every day for several months. Local Germans marched to our gates carrying candles, flowers, supportive signs, etc., in the weeks afterward. My then-fiancé (now husband) Martin was a tank commander in the Bundeswehr at the time, and his unit began reporting to the local U.S. Army bases to provide additional security. In the States, I know there was a wave of patriotism and support for the military and it wasn't long before I started hearing from people via email or letter, people who got my contact from a friend of a friend or family member. That day definitely changed the course of my military career and my life. I was later assigned to the Pentagon for several years in the rebuilt section of the Pentagon, visited the memorial several times, worked with people who were there that day. During construction in the Pentagon, it was not uncommon for crews to open up vents or pipes years later, and dust and debris would fall out. Certainly, my time in Iraq and Afghanistan provided a lot of perspective, too. 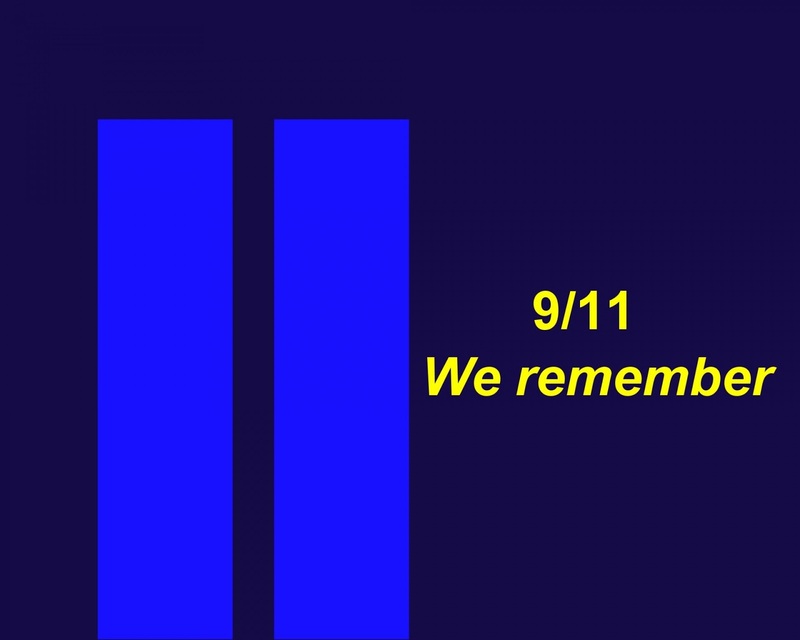 Like so many others who served in the past 15 years, 9/11 is just one of many dates stamped with crisis and loss. Denise Mauget Shoemaker: It was my birthday and Charlie (husband) was recouping from his stents. I was fixing him breakfast with the TV on in the kitchen when all hell broke loose. In shock most of the day as my nephew and his wife lived in New York and I knew my nephew took the train into the center. My nephew was late that morning so thankfully he was not in The World Trade Center buildings but tragically his brother in law was on the 98th floor. Besides heartache and grief for so many, I have looked at the world in a different way since. I felt less secure and anxiety that there was this much evil in the world I lived in. I still can't fathom it. I find myself wishing for the 'simple' days when I was a kid growing up. I have lost the desire to explore different places. I wish to stay close and not venture too far from my loved ones. I don't trust that I will be safe anymore. Sean Hanson: I was at HMS, 8th grade health class. It was hard to comprehend for a few days, and confusing. People can only process so much pain at once, and children (which in that moment, we as teenagers absolutely were) especially can't fathom when something so massive occurs. The collective rush of adrenaline, fear, agony, and mourning was overwhelmingly intense, but it was mostly because of teachers that helped us discuss the events and their ramifications that I was able at all to comprehend some semblance of what had occurred….I've now worked adjacent to ground zero for three years….The thing that made me process this most deeply was reading the entire CIA report on the usage of torture post 9/11. Nothing made each live lost feel more real than reading how their deaths were abused to excuse equally inhumane, terroristic torture of, in many cases, completely innocent people. All of this anger and hate, still seeking an eye for an eye. The biggest way the world seems to have changed is that the media decided that sensationalism from exploiting the deaths of pain of others is somehow acceptable, and we as consumers have come to endorse this tacitly. I have one distinct memory - how silent the sky was that night. We stood out under the stars and did not see a single airplane cross the sky. Usually I could see constellations but on that clear night I couldn’t connect anything. I knew that we would mount a military response or go to war and I was worried. Even though planes now blink regularly across the night sky, I still cannot connect the dots of that day. Scholars analyze the event. Books are published regularly on the topic. We are still waging wars over it. That wound has not healed. I know that the light of the stars that we see is really the light from the past. Sailors marked their places on the globe and charted an accurate course - according to the light of the past. I can only hope that our future will chart a safe course from our current light. No one person knows the answer or has all of the answers, but we each hold a piece of it. Perhaps our collective wisdom will have some positive bearing on our future and we will be able to connect those dots, to see the image emerge, so we can make some sense of the world.